Looking through my photos from the last days I realized that there are a lot of new things which are worth to get mentioned here. First of all, I have a new scope since Tuesday, a Swarovski ATS 65 HD with a 25 - 50 x WW eyepiece. 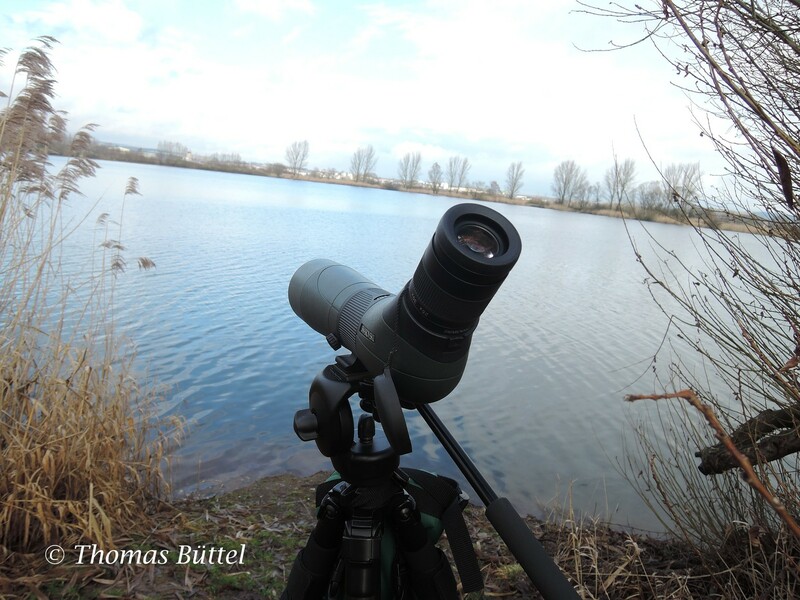 The last waterfowl count in January reminded me of the limits of my former spotting scope, a Nikon ED50. Before buying a scope I wanted to have a look through it at first and so I went all the way to Munich on Tuesday. So far I haven´t yet been able to test it properly, but in a few days I´m going to report more on the scope. 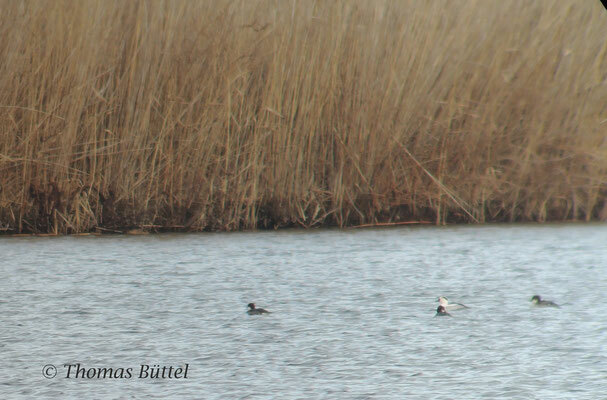 Next is the Velvet Scoter, which I had seen on the quarry pond of Oberhaid a week ago. 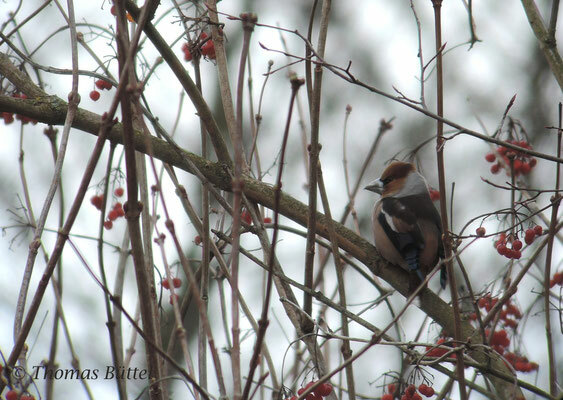 The first winter male had been present at least since November, but until last week I hadn´t been able to spot it. Furthermore, I have got a feedback to the gulls, which I had seen in the last week of January. As it turned out the identification of the first unidentified gull as Herring Gull was correct, the second one seems to be a Caspian Gull. Perhaps I´ll come back to this topic soon. Enough of that. As you will remember the weather is rather unpredictable here at the moment and this morning seemed to be no exception. Nonetheless, I still wanted to test my new scope and took it for it a short walk to my local patch. All in all it was very nice and I enjoyed very close views of both Green and Great Spotted Woodpecker. 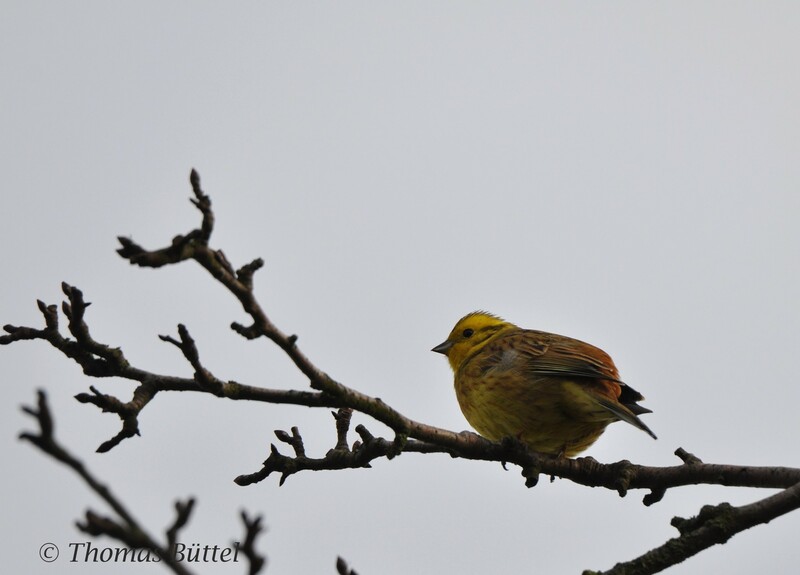 Furthermore, I heard a Skylark calling, the first one of the year. 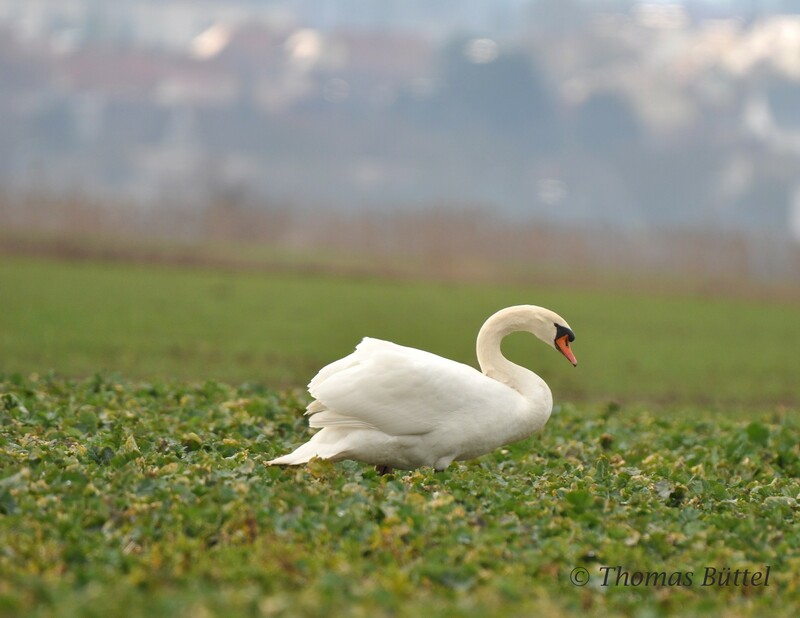 When I finally reached my house again and the weather hadn´t changed much, I decided to go to the "Großer Wörth", since I wanted to see how the scope competes with long distances and bad light. Half an hour later I was standing at the shore and scanning the water surface for waterfowl. 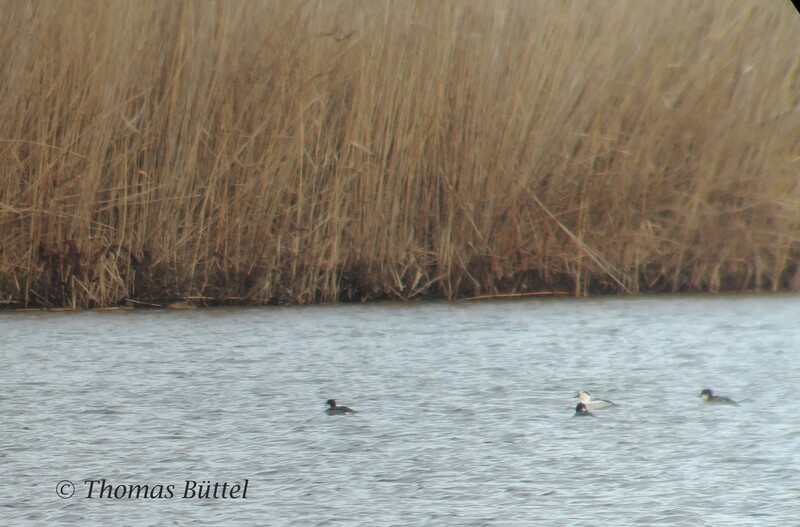 It was rather quiet and the only noteworthy birds were five Gadwalls and four Smews. The latter were the first individuals I´ve ever seen on the "Großer Wörth". 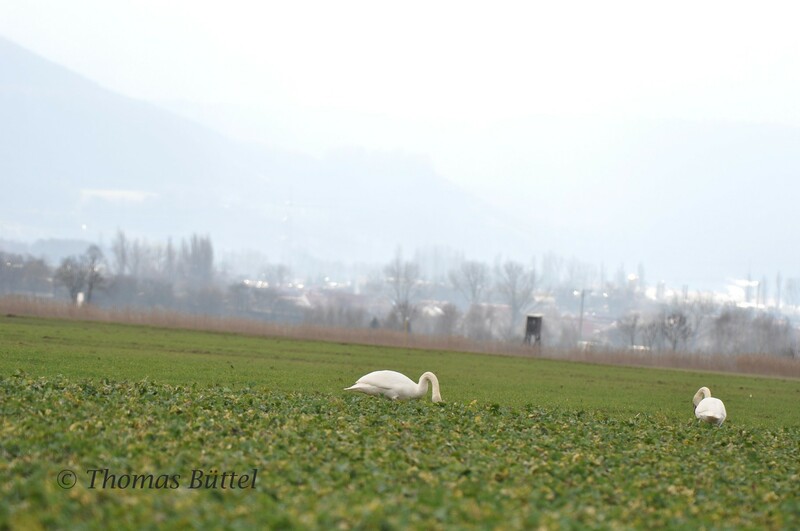 Before leaving the area I was skimming the nearby water protection area and spotted about 50 Mute Swans, which is the highest number of swans I´ve ever encountered. Very nice photos and congratulations on the new scope!